The LS C300d is the brightest LED light in the Light Storm series. 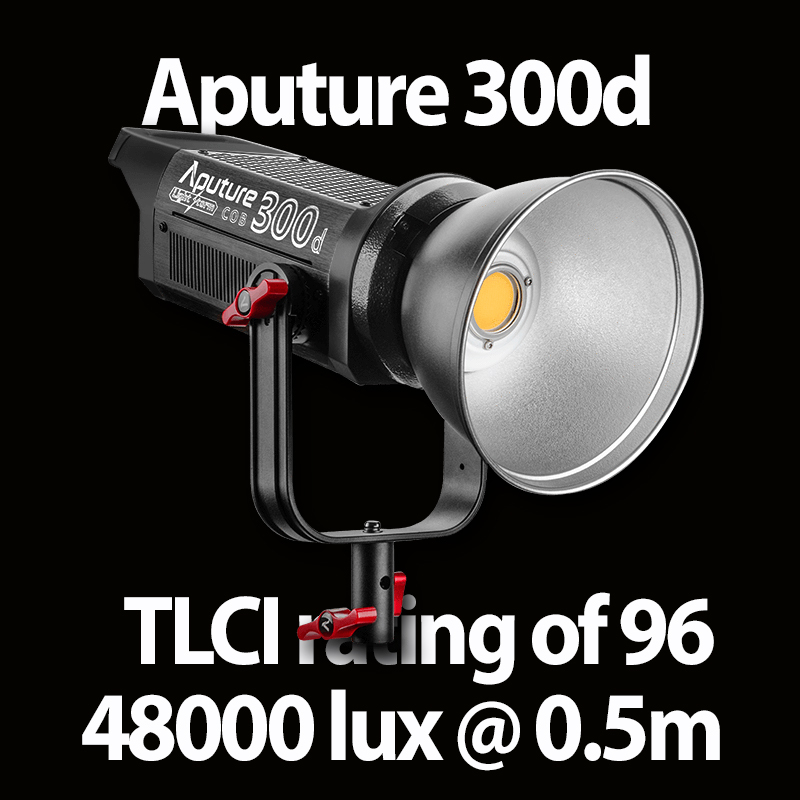 Boasting an impressive 48000 lux @ 0.5m with its included reflector, it can also reach an incredible 142000 lux @ 0.5m with our fresnel mount (with camera settings set to f/36, 1/200 shutter, and ISO 800). The LS C300d makes lighting nearly all scenes possible.